Thanks to this Starbucks green tea latte(sorry for the poor pixels, I took it with a 2 megapixel mobile). I bought this out of morning stress from work, because green tea has been used by Zen monks for their meditation, but I’m not a monk. I’m not a regular Starbucks person, and honestly, in one year, I only buy once. I cannot afford to pay for a cup everyday, that’s the thing haha. 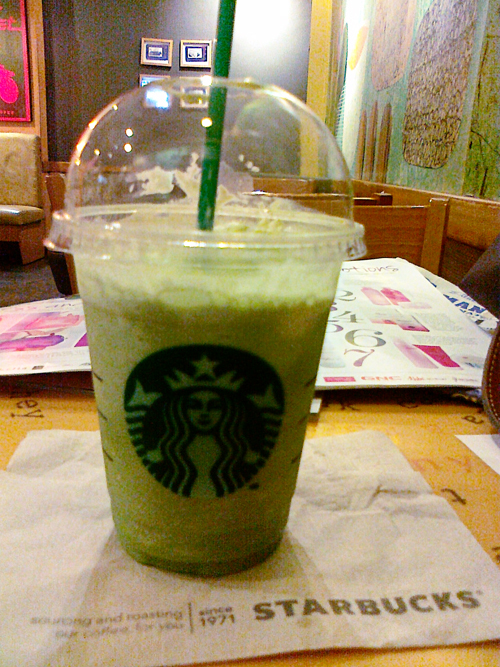 The green tea latte has a nice tea flavor that I like. It is a little sweet for me but it’s ok if I have it occasionally. It is smooth and creamy which is so good. I’ve read that in Japanese tea ceremonies, the last sip of matcha (green tea) should be slurped to show your appreciation to the host. Slurp! I’m showing appreciation to Starbucks! 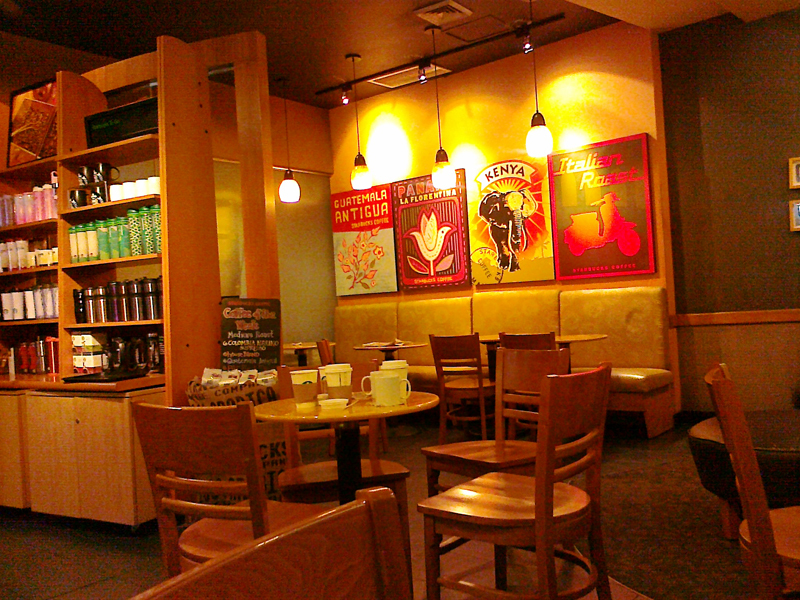 I like the Starbucks branch here. Nice lighting and cozy ambiance. I wish our office lighting is like this, a bit dim, like what they have in hotel foyers. 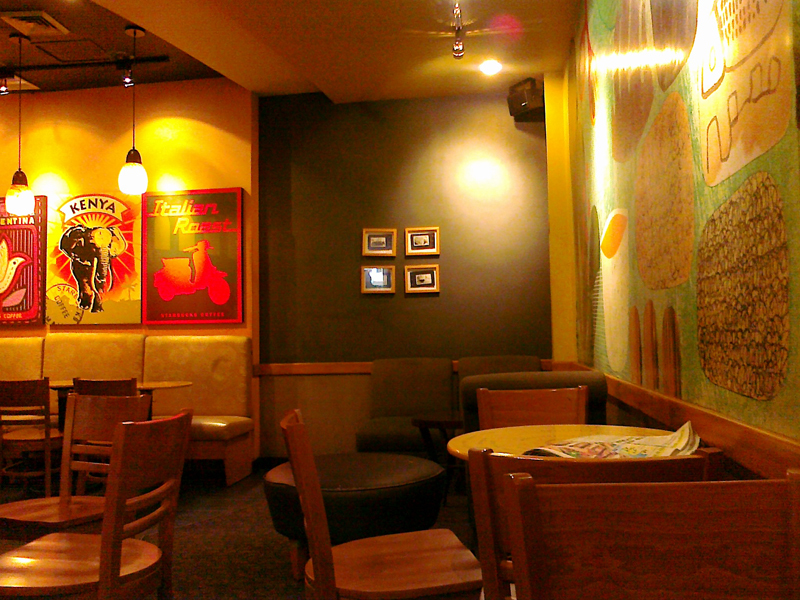 If you want to meet with someone in a nice quiet place, you can try it here. This is the Starbucks in Forbes Park, which is a walking distance from the Church of the Holy Trinity. Just head over to Rustan’s and you will see them at the entrance.